Now that the weather is really cold, I find myself constantly reaching for my lip balm to avoid the dreaded dry and chapped lips. The two lip balms I always carry around with me are; NUXE Rève de Miel and FIGS & ROUGE Peppermint & Tea Tree. These lip balms are definitely worth a try if you haven't already! 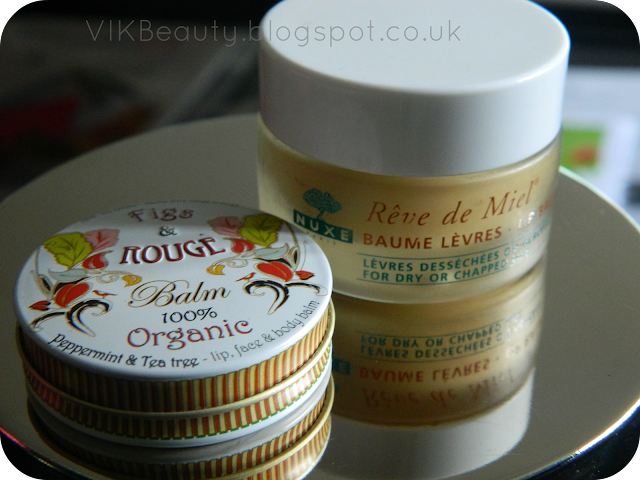 I have used the Nuxe Rève de Miel for years and came across the Figs & Rouge Peppermint & Tea Tree a year ago. This is an "Ultra-Nourishing" lip balm that contains honey, plant oils, shea butter and grapefruit essence and is specifically formulated for dry and chapped lips (hooray!). It has a really rich gritty consistency (which some may dislike) that disappears once rubbed into the lips. 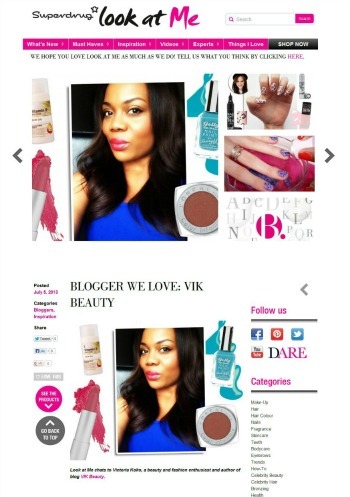 Once on, it has a matte finish to it which is great for a lipstick base. The pot is made of glass and feels luxurious. You can definitely smell the honey & grapefruit which I think is a nice combination. It's not overpowering at all. The lip balm stays on for ages but I tend to apply my lip balm every couple of hours. It's like an automatic reaction! Before I know it, my hands are already in my makeup bag looking for my lip balm to re-apply. It retails between £8 - £9.50 for 15ml which is reasonable as the pot does last a while. You really do not need to use that much. You can purchase this lip balm online or at bigger department stores where they stock Nuxe products. 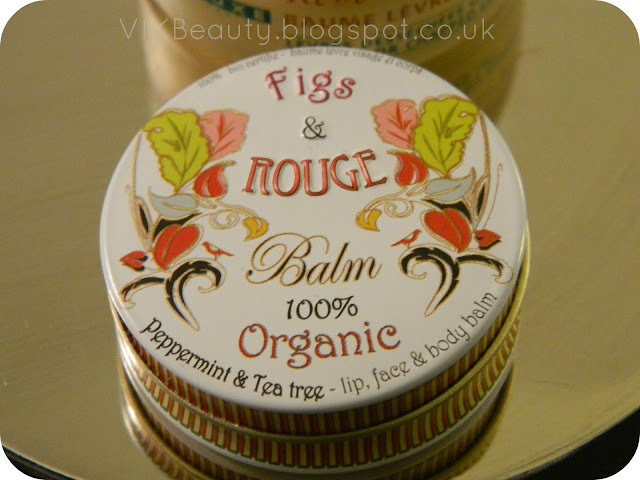 This is a gorgeous 100% organic and 100% natural lip balm. 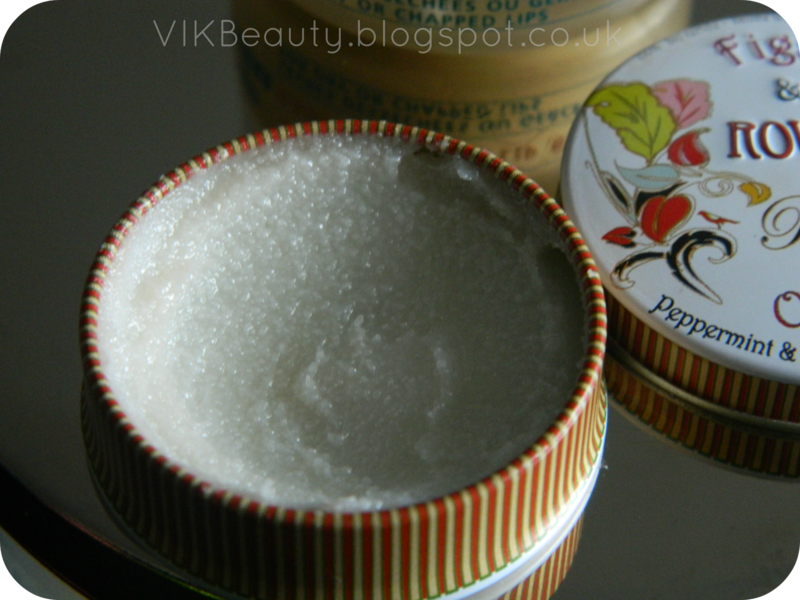 It is extremely versatile and can be used on your lips, face, hand and body. I haven't ventured that far though. I just use it on my lips. I love the peppermint element in this lip balm. It's really refreshing. My lips feel a little tingly when I have it on. The restorative Tea Tree and Peppermint ingredients help to moisturise and repair sore or chapped lips. It looks gritty but it is soft to touch. 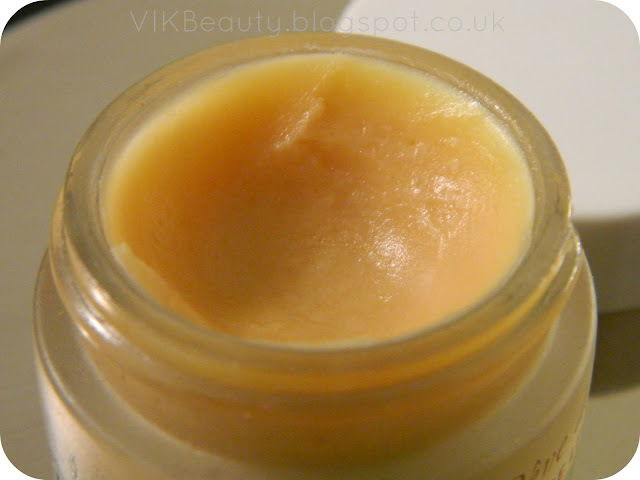 This lip balm is extremely moisturising, creamy and has a nice glossy finish to it. I do find though, that because of the glossy finish, my lipstick doesn't sit too well on my lips. Like the Nuxe lip balm, I find that it lasts a long while. But as mentioned, during winter months, I am always re-applying the lip balm every hour or so. 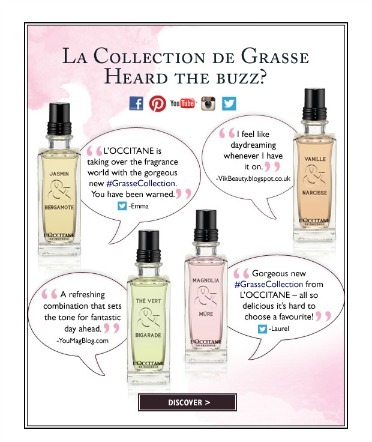 It retails at arounds £3.49 for 8ml which is reasonable for a 100% organic and natural product. You can pick this up in Boots, Asos or Urban Outfitters. To summarise, I'm a huge fan of both lip balms but I do have a dislike for pots due to hygiene reasons. I mean I always use it when I've washed my hands. But sometimes you just wonder about any germs that aren't visible being passed into the product. Have you tried any of these lip balms? Which is your favourite? 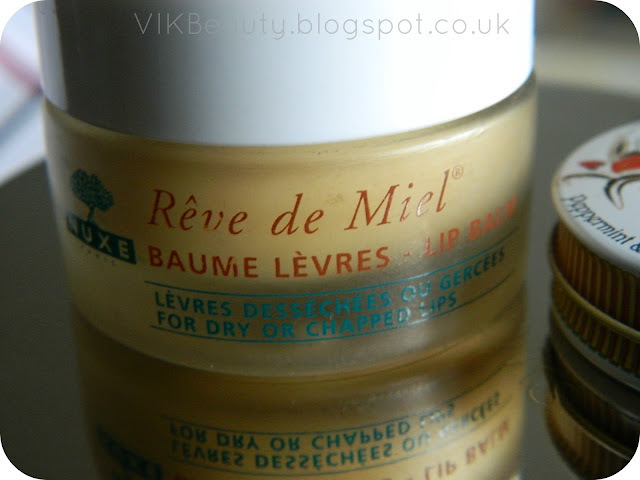 I have heard so many good things about the Nuxe lip balm, I will have to give it a try soon. I have a tonne of lip balms to use first though! I am like you - I dont like lip balms (or any products) in pots...wish these came in a tube, that would be much better.